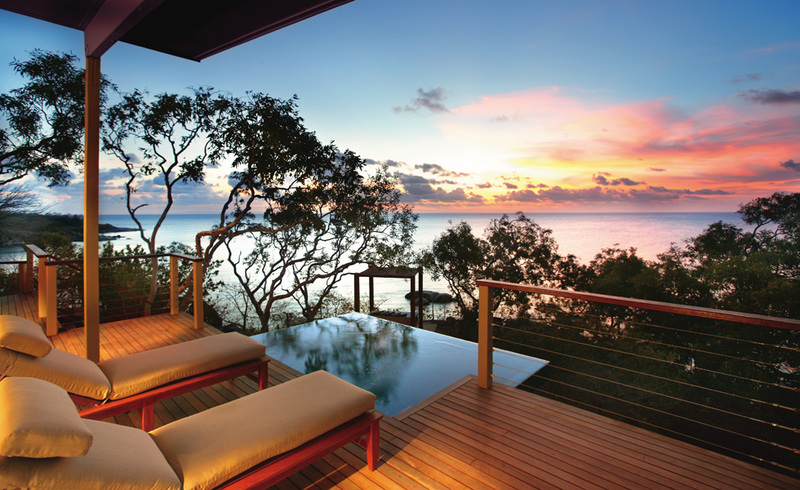 The Great Barrier Reef’s northern most island resort, Lizard Island is reserved for a privileged few. 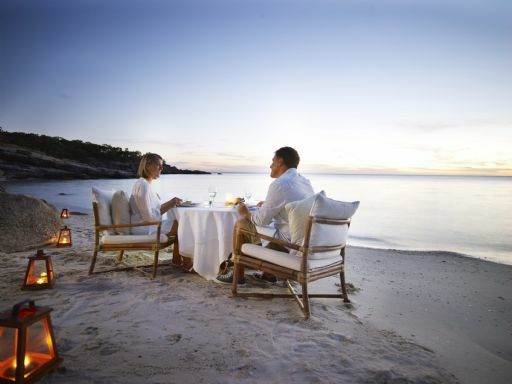 Offering five star dining and spa facilities, relaxed luxury and exclusivity, with just 40 rooms and suites in total. 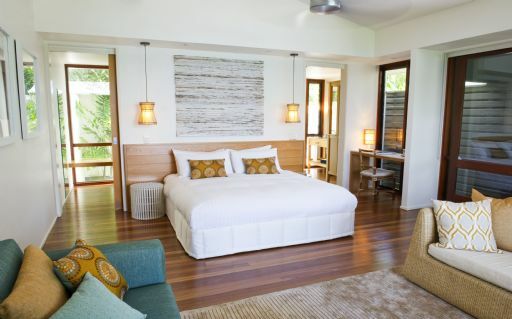 The indulgence of the resort is coupled with pristine wilderness, world class diving, big game fishing and 24 private powdery white beaches, and it is consistently voted in the top 10 resorts of the World. Tropical climate, average year round temperature of 27°C (81°F). 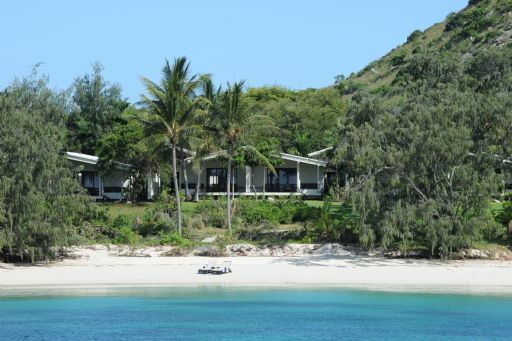 Lizard Island does not have a strict dress code but we would suggest relaxed, casual wear during the day and perhaps something a little more special for dinner. For ladies, relaxed evening wear and for men, collared shirts and long trousers and/or tailored shorts. We recommend you include suitable footwear for the beach and Island walks. • Iron & Ironing Board • Hair Dryers • Evening Turndown Service • Safety Deposit Box. a spectacular 270 degree panorama of Anchor Bay, Osprey Island and Sunset Beach. 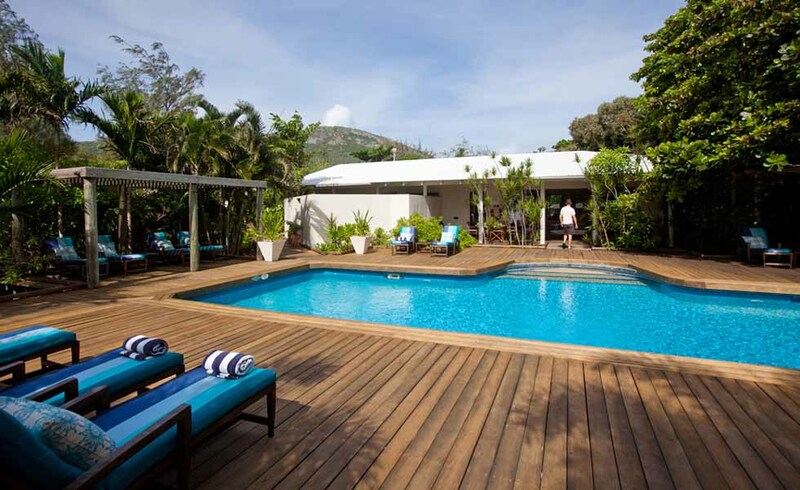 An expansive decking area incorporates a private plunge pool, sunlounges and a day bed area, inviting guests to relax and take in the stunning views. 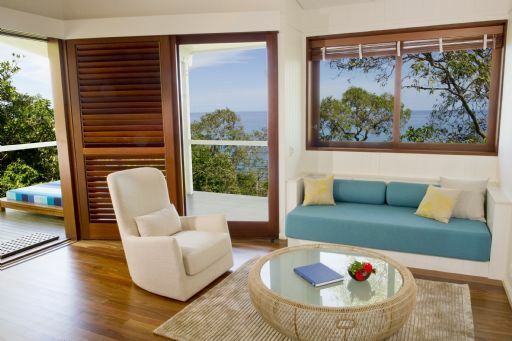 Leaving the balcony to stroll down a private path, guests will discover another secluded area where chairs and a table have been perfectly positioned to make the most of sea breezes and gorgeous views. Inside, the Pavilion offers every comfort. A Bose sound system with a CD player and iPod connectivity and a laptop computer for downloading and sending emails are among some of the special features.Champagne and a deluxe fruit bowl greet guests on arrival. 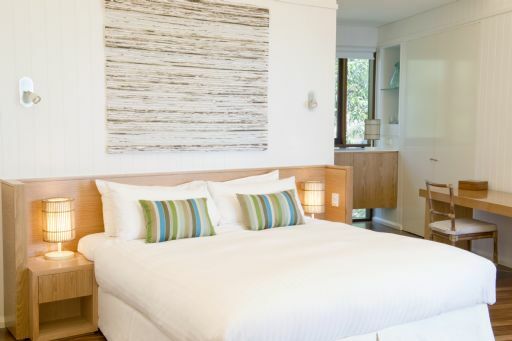 Set in a broad sweeping arc along Anchor Bay, with easy access to the main lodge, Anchor Bay Suites offer captivating sea views and each has a pathway leading directly to the beach. Seamlessly blending indoors and out in an elegant and spacious open plan design, a large verandah with daybed is one of the many comforts. Anchor Bay Suites also feature a Bose sound system with a CD player and iPod connectivity. 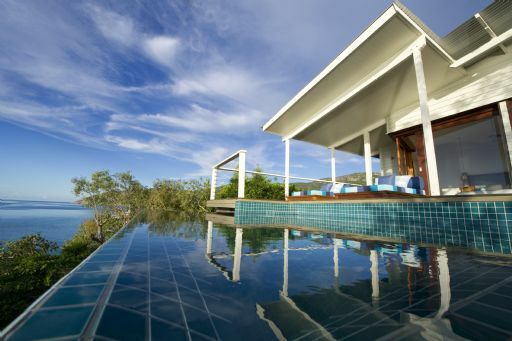 Sunset Point Villas are set high on Sunset Ridge among native eucalyptus bushland. Providing filtered sea views over Anchor Bay or Sunset Beach, these villas offer privacy and easy access to a string of secluded beaches. 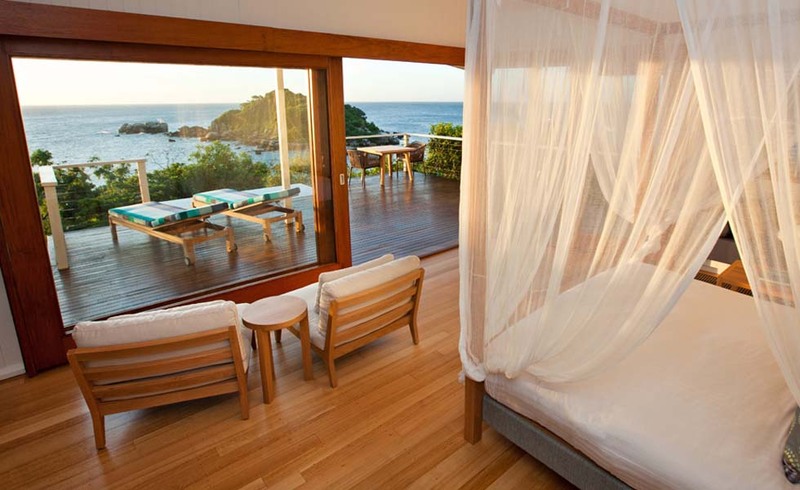 Each villa has a private deck with comfortable Australian timber chairs and a hammock. 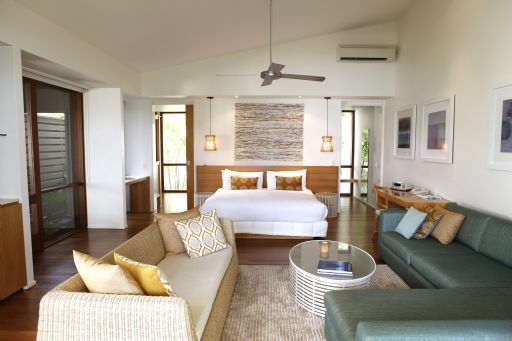 Sunset Point Villas also feature a Bose sound system with a CD player and iPod connectivity. 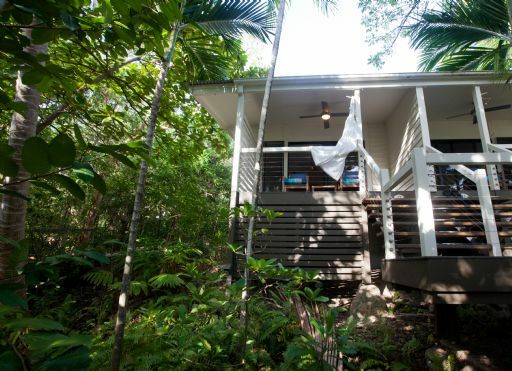 Located in a tropical garden with easy access to Anchor Bay and the beach, Garden Rooms have a private balcony with a hammock. Interiors are compact but comfortable and include a Bose sound system with a CD player and iPod connectivity. 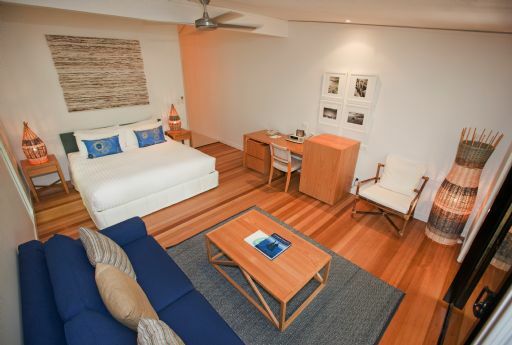 Garden Suites with two separate sleeping areas are also available. until 9:00pm. 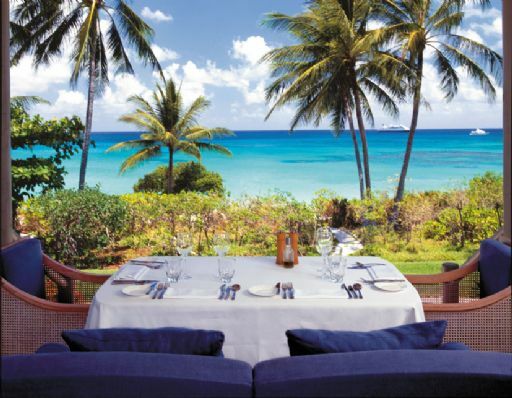 Simple and relaxed, Ospreys Restaurant is the idyllic setting to take full advantage of the views along the seascape. With an accent on fresh seafood and superb local produce, the daily changing menus draw on the flavours of modern Australian, Asian and European cuisine. 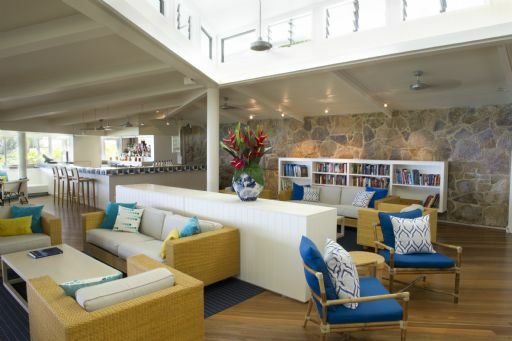 The Resort’s relaxed lounge, open all day, offers comfortable sofas and an inviting bar area. Enjoy tropical juices, coffee and tea, Australian and imported beers. 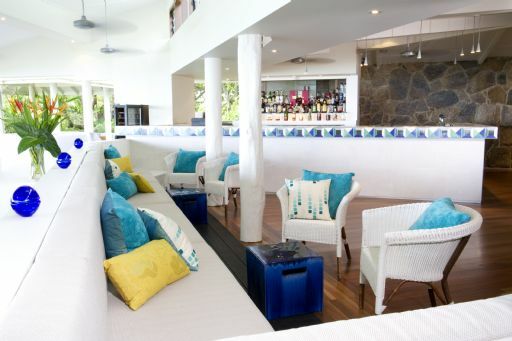 The extensive wine list features Australian and New Zealand wines or you may select your favourite spirits, liqueurs or cocktails. A Cellar Masters list is also available if you wish to purchase a special wine for the occasion. 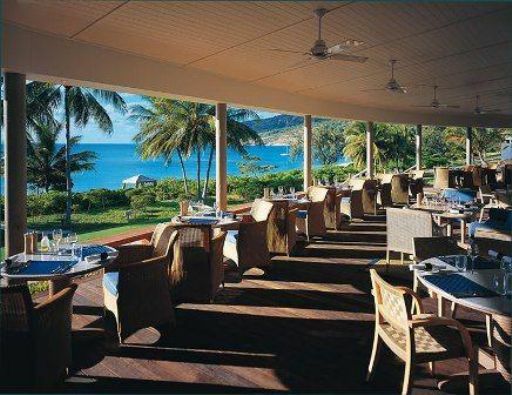 For a special Lizard Island dining experience, choose from two beautiful beach locations. 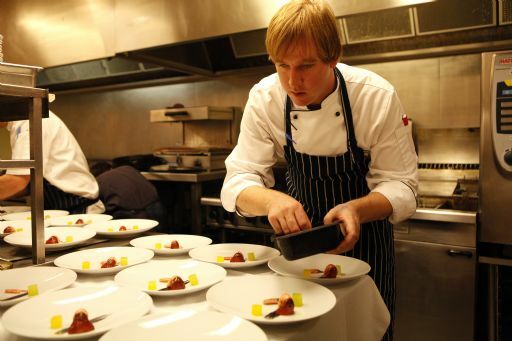 Prior to dinner, you will have the opportunity to meet with the Chef to discuss your 7-course degustation menu and matching wine selection. 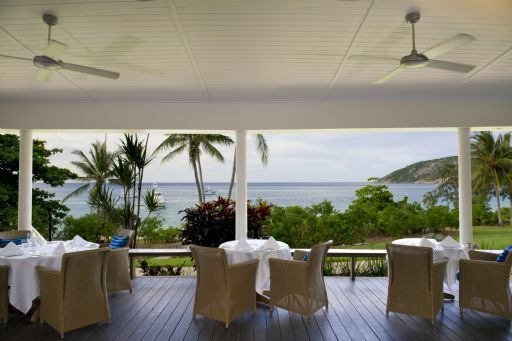 Minimal service interruptions ensure the ultimate seclusion and privacy.Private dining can be booked on arrival or during your stay at Lizard Island. and balance.Due to the popularity of our spa treatments, reservations are essential. To avoid disappointment, we recommend that you book in advance. 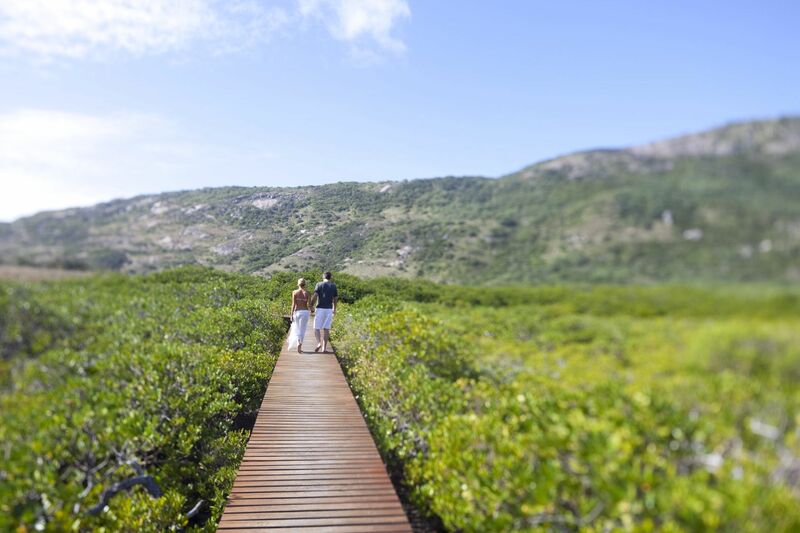 • Self-guided island walks and nature trails • Picnic hampers for beachside lunches • Tennis (day and night) • Nature slide presentations • Gymnasium • Catamarans • Paddle skis • Snorkelling equipment and lessons • Motorised dinghies. 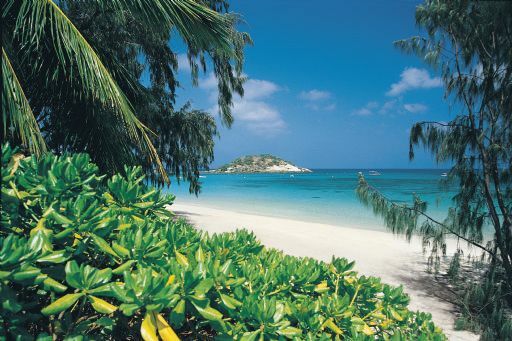 Lizard Island is a continental island surrounded by fringing reef with easy access to the ribbon reefs of the Great Barrier Reef. The world renowned Cod Hole is a 60 minute boat ride from the Island on our purpose built dive vessel MV Serranidae. 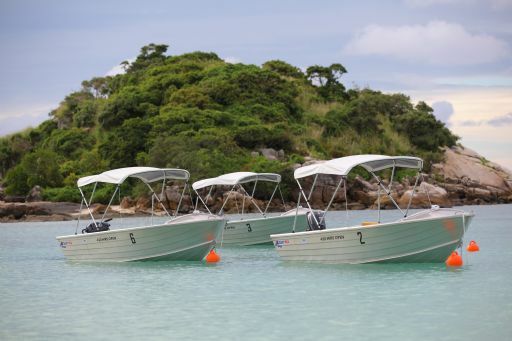 All equipment required for diving and snorkelling is available for hire at The Beach Club. Equipment available includes Buoyancy Control Devices (BCDs) and regulators with computers. Masks, snorkels, wetsuits, Lycra suits and fins are complimentary. 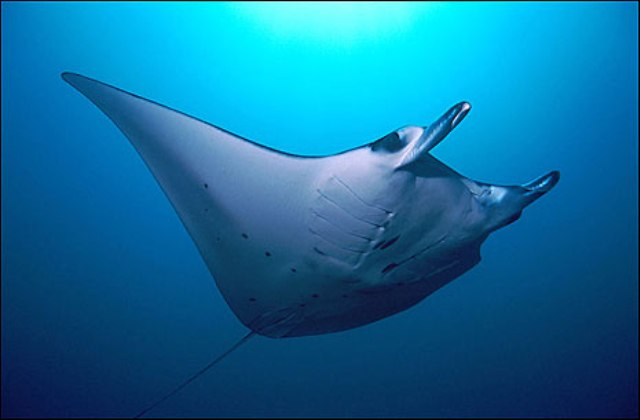 An AUD $6.00 environmental charge applies to all dives enjoyed on the Great Barrier Reef. 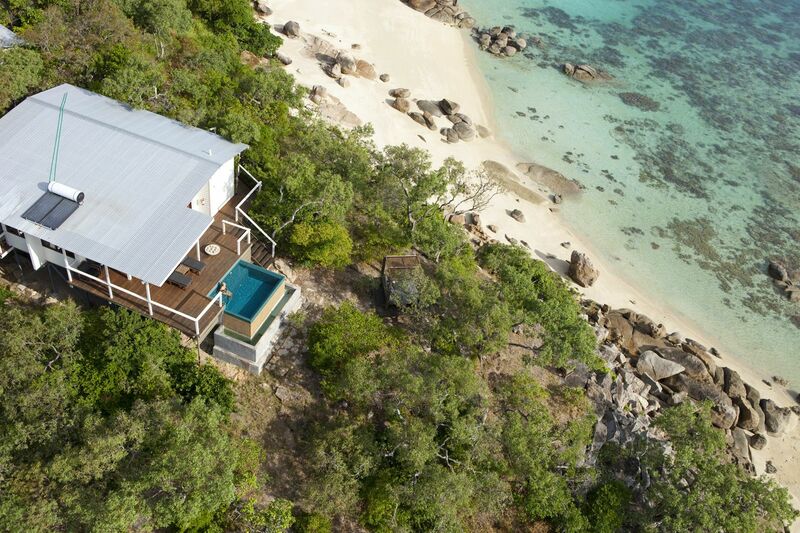 This charge has been included into applicable activities on Lizard Island. approximately 30 minutes by boat from Lizard Island. 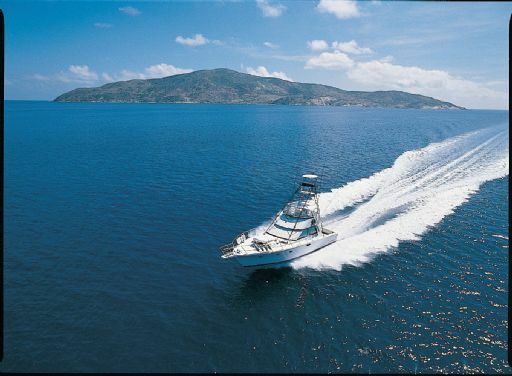 Dives on the island’s fringing reefs, are conducted from the MV Monitor and range from 10 to 25 minutes journey from Lizard Island. 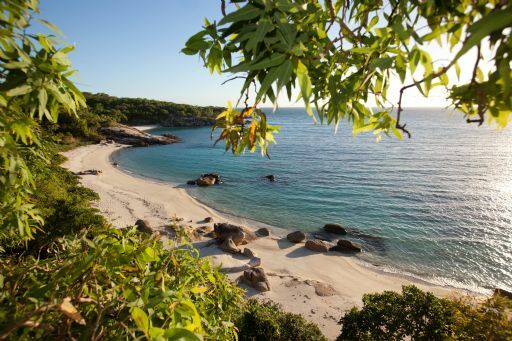 The majority of locations visited, are accessed exclusively by the Lizard Island Marine & Dive team, enabling divers to enjoy the gorgeous reefs without the crowds. Great Barrier Reef marine experience. Snorkeling and Diving Is Excellent. 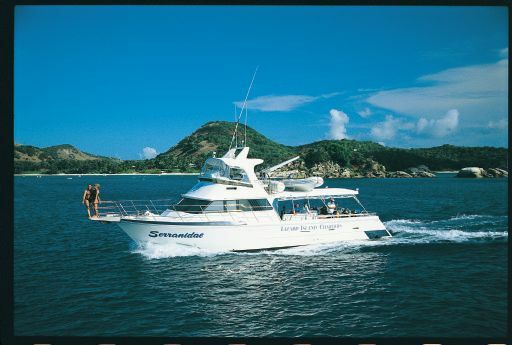 What makes Lizard Island diving unique? The Northern section of the Great Barrier Reef is home to a large biodiversity of marine species. Expansive hard coral gardens and wonderful macro critters abound while spectacular reef fishes and large pelagic species make diving here sensational. 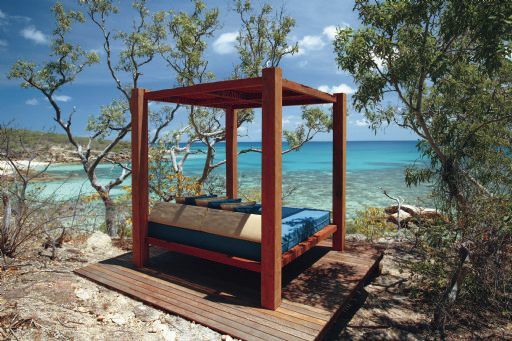 Given the location, Lizard Island guests frequently enjoy these sites with few other divers on-site. 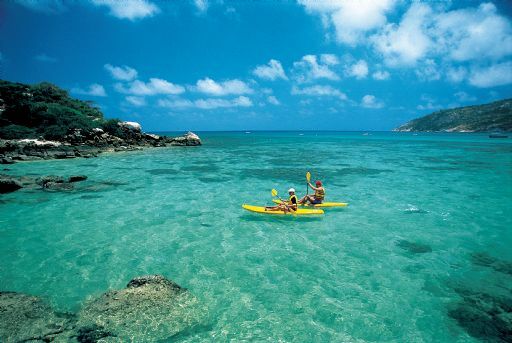 What kind of marine life can you expect to see at Lizard Island? Amongst the estimated 1,500 different fish species, the favourites to look for include the Potato Cod and Giant Grouper, schooling trevallies, giant sweetlips, reef sharks, olive sea snakes, turtles, rays, cuttlefish, anemone fish and giant clams. Dolphins are often seen from the boat and humpback and minke whales are spotted breaching and cruising throughout the winter months. 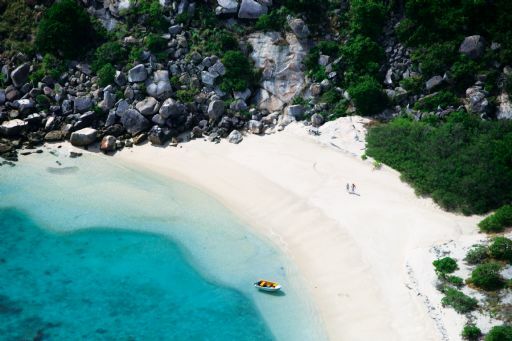 What type of coral can I expect to see at Lizard Island? 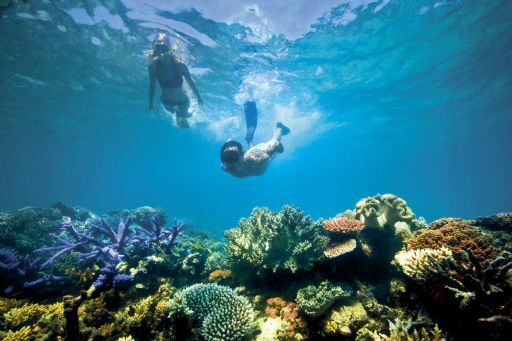 There are an estimated 300 species of hard coral making up the spectacular coral gardens in the Lizard Island region of the Great Barrier Reef. Ancient bolder corals, plate and colourful staghorn corals are but a few you can expect to see. Soft corals and sea fans also flourish here. 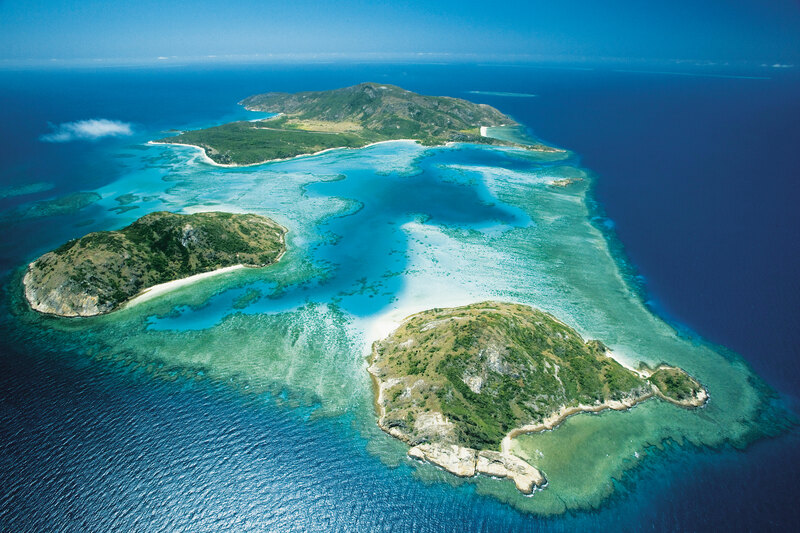 How Many dive sites are there surrounding Lizard Island? Local Lizard Island Dive Sites Anchor Bay, Cobia Hole, Mermaid Cove, Crystal Caves, Coconut Beach, Horse Shoe, Big Vicky’s, South Horn and Steve’s Gully. Bank’s Bank, The Plateau and North Direction Island. The Cod Hole, Dynamite Reef, No Name Reef, Big Softie, Kate’s Place, Stepping Stones and Yonge Reef. Please be aware all dive sites are predominately weather and tide dependant. The final decision on the dive location will be determined by the skipper and dive master based on the current observation on the day of diving. All efforts are made to fulfill dive site requests, while keeping safety as the first priority. Are there any world renowned dive sites available? Yes, ‘The Cod Hole’. 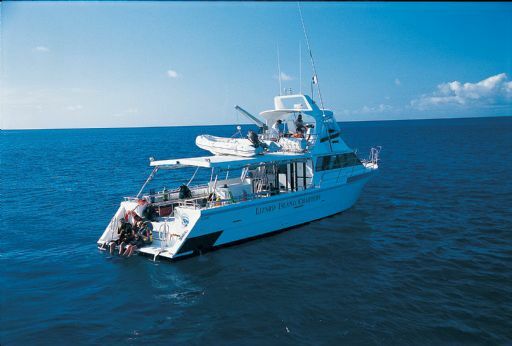 We endeavour to go here on our full day reef trip; however it is a site that can only be dived with specific tide conditions and weather permitting. This is a location for both divers and snorkellers. Temperatures range from 22 degrees Celsius (72 degrees Fahrenheit) in Winter, to 30 degrees Celsius (86 degrees Fahrenheit) in Summer. What is the water clarity and colour like? Underwater visibility changes with the season and tide, but is always good. In winter, the visibility can extend to 50 metres plus and averages approximately 25 metres plus. Summer visibility averages around 18 metres. 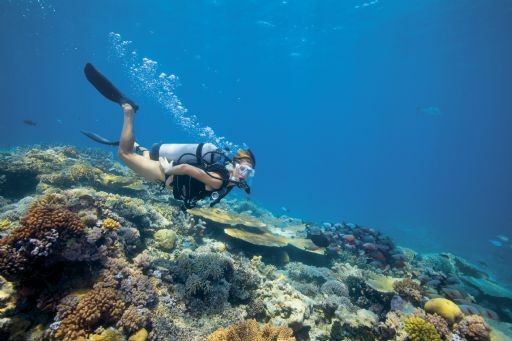 What time of year is best for diving and snorkelling? 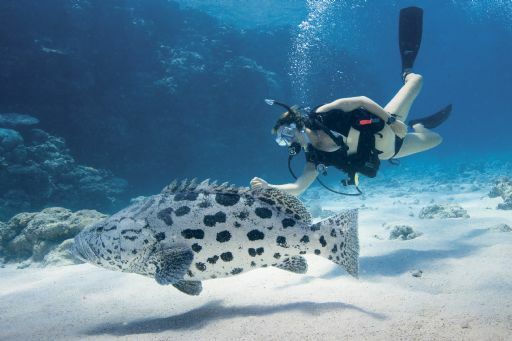 Diving and snorkelling is great all year round. Winter has great visibility but is generally windier with cooler water temperatures. 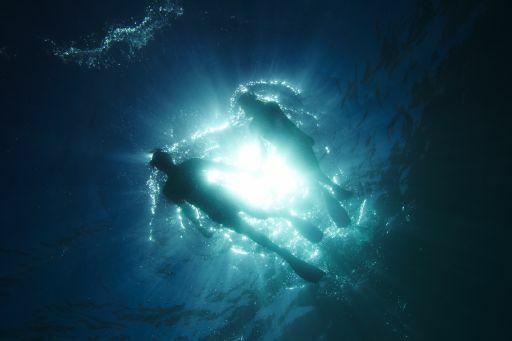 During the summer months, the water is wonderfully warm and the winds often drop right down, making the surface conditions almost like a swimming pool.